Lowest price. Pay only $599 for the Janome 744d free arm over locker when you buy the Janome 744d free arm overlocker . Save $200 off RRP. yes it even has a free arm. Many people rate this overlocker so highly.It has colour coded threading to help take the stress out of threading it. 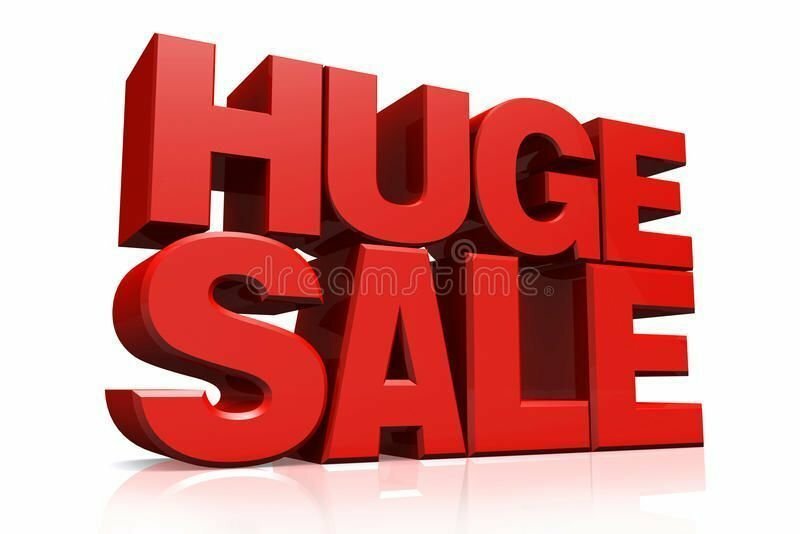 ring us on 1300137041 to secure one. 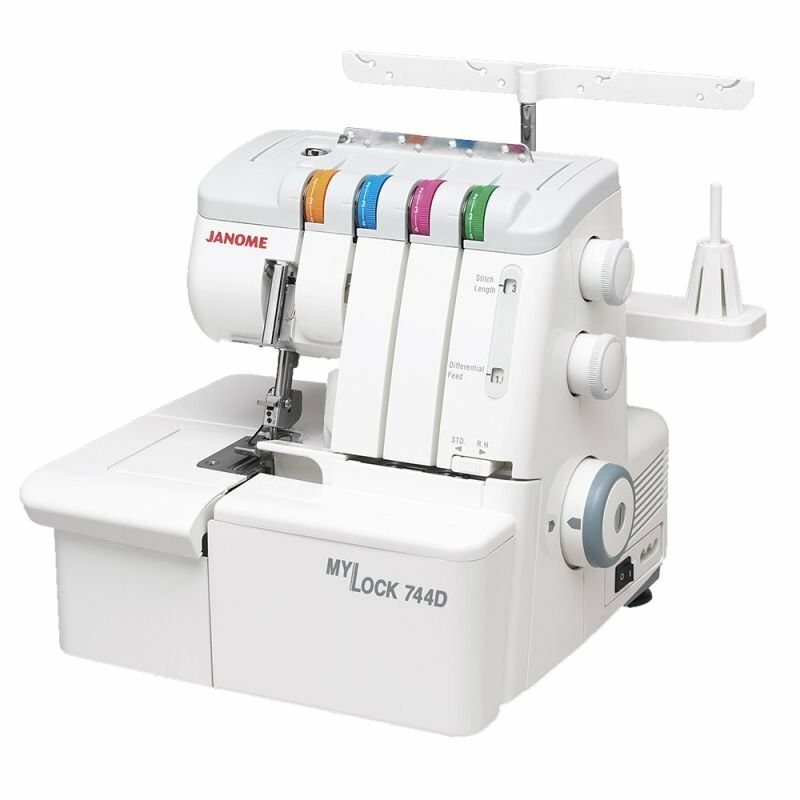 The MyLock 744D with electronic foot control is an advanced overlocker with 2 needles and 2, 3 or 4 thread overlock stitching. The differential feed ratio, which is adjustable from 0.5 to 2.25 provides exceptional control for handling all types of fabrics and for creating desired special effects. Threading is a breeze with colour-coded thread guides and a self-threading lower looper. Simply lay the thread into the guide, flip a switch, and the lower looper is threaded. The guide is automatically returned to its normal position when you turn the balance wheel. The thread tension automatically release when you lift the presser foot so you can draw through the threads smoothly. The MyLock 744D also lets you quickly switch to rolled hemming without changing the needle plate. A lower looper pre-tension stitch eliminates the need to change tension for rolled hems. is our second free-arm serger. previously available only on our sewing machines, the free-arm allows you to serge in tight places like cuffs and collars with ease. for instance, to attach a sleeve to a garment, you simply slip the turned out sleeve and arm over the free-arm and serge. 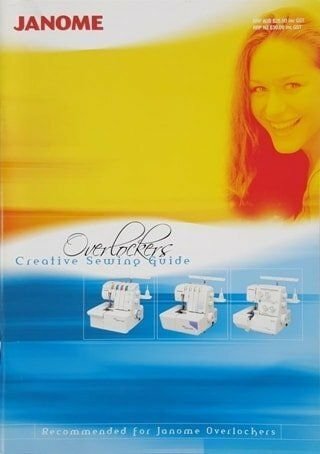 receive this bonus Creative overlockers book valued at $29 when you buy the 744d overlocker. the 744d is our most advanced mylock mechanical serger, with speeds up to 1300 stitches per minute. and an easy upper knife release. an instructional video ensures that you'll be serging with professional results in no time. 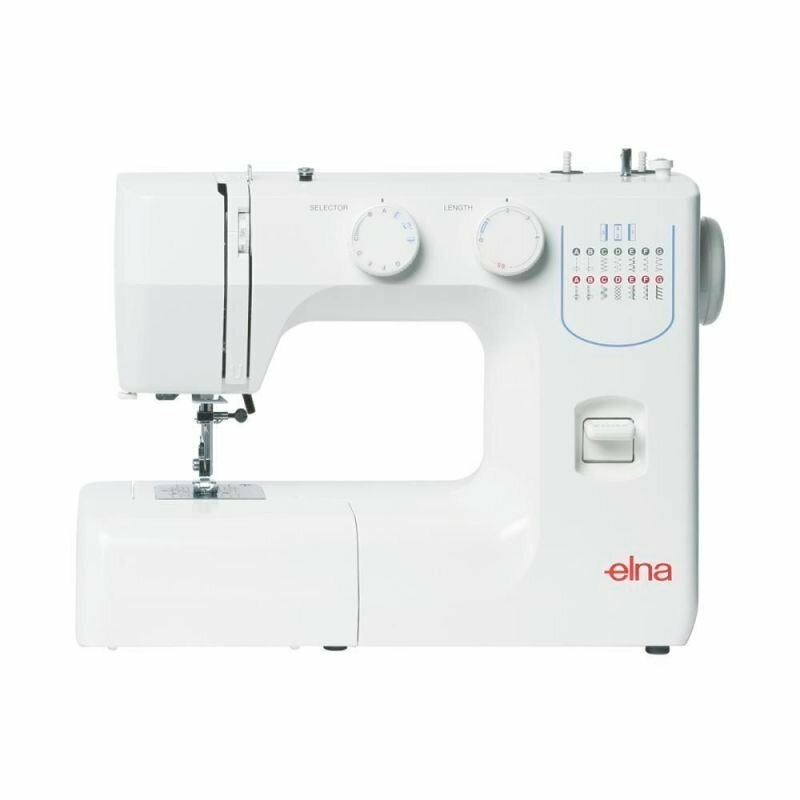 the 744d has 2 needles and 2, 3 or 4 thread stitching capabilities. the 744d provides increased control for handling most types of fabrics and is essential for creative serger techniques. threading is simplified by color-coded thread guides and a self-threading lower looper. simply lay the thread into the guide, flip a switch, and the lower looper is threaded. the guide is automatically returned to its normal position when you turn the balance wheel. and when you lift the presser foot for rethreading, the thread tensions are automatically released so you can draw the thread smoothly. a lower looper pre-tension control eliminates the need to change tension for most rolled hems. 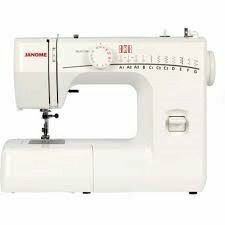 you can also switch quickly to rolled hemming without changing the needle plate. the mylock 744d with its free-arm and other advanced features, is the easiest way to get fast, professional results. for information about these standard accessories, as well as all the fine optional accessories available for this machine, see the complete list below.